This multi-faceted peace building expedition is the newest program from AMI. It is designed in order to work with students along the rivers of the central region which boarders the three countries of Croatia, Bosnia, and Serbia. It is planned to help sustain the intangible heritage of boat building and maritime skills along the river and to use the boat as a cultural object and tradition that is shared by each of countries that live along their banks. In this project the boat is used as a practical element in post conflict reconciliation, team building, and a dynamic tool around which the curriculum can be arranged. 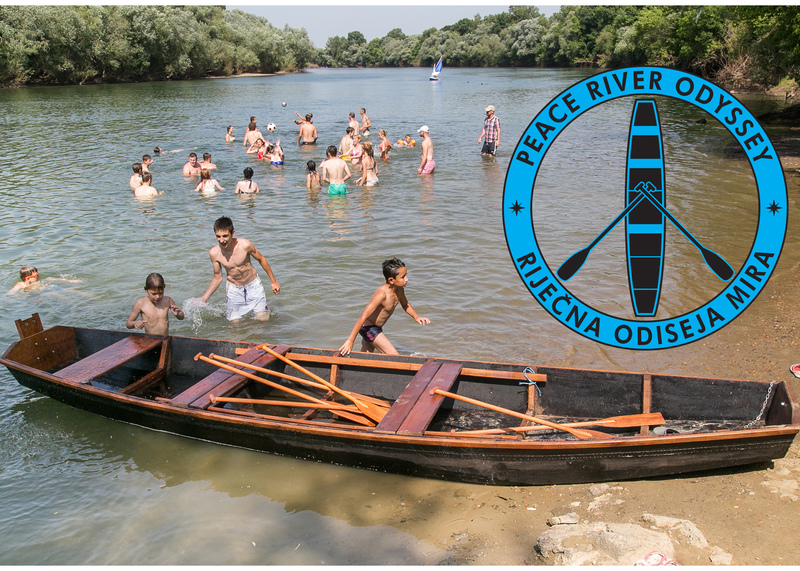 The River Odyssey is a three-part program; with a preparation phase, building phase and expedition. When students arrive at the site, they will begin to get the idea of how the program will take place, become accustomed to the tools and begin to gather materials. During this section students will learn the names of the boat parts and trees that will be used in the building. The building phase will take place as an intensive five-day process. During the building of the boat students will get a chance to see the process though from beginning till completion. The final phase of the program is the expedition. During the expedition the students will be responsible for all aspects of voyage preparation and navigation. The culmination of this trip represents the full circle of not only the life of the tree, but also the lives of the students who participate in the endeavor. The students see trees, the grand oaks in their natural habitat, then they are able to build the boat essentially make tree into its second life, and they too are changed through the process. The trip also represents a combined effort from all of the counties working together with a common goal. The boat itself is a symbol of the cooperation and the expedition forms memories of working together to reach the goals of the team. The boat itself after the trip is completed will be taken back to the home counties as a reminder of the experience that was shared. The program itself has four curricular elements the peace building, environmental and social education, and job skills training. The peace-building curriculum will use the boat as a cornerstone to discuss shared cultural values and similarities and differences. The environmental aspect will be focused in three areas, first forestry education, in the learning the names of the trees, secondly the watershed learning how the river flows and seeing on a map tracing the route from the mountains to the sea, and the third as pollution prevention in the trash cleanups and environmental education that will be done during the expedition. Job skills is learned though the building and includes basic carpentry as well as maritime skills such as navigation. Social pedagogy is critical in the cooperation that must be achieved in order to work together as a group. This includes teamwork and cooperation as well as the fundamentals based in non-violent communication skills, stating personal needs and active listening.